Honours Research Scholarships and Postgraduate Student Awards are now open for 2016. For full details of the awards and the application form, see below and click here. At a recent seminar addressed by a group of Crawford-in-Queensland awardees and conference scholars, around 50 guests heard of the professional, personal and humanitarian impact of the opportunities supported by our Queensland Committee. Long-time trainers involved in Queensland supported training also participated. The awards were announced last year as a new initiative of the Queensland Committee, which have also been made available by some other States. We recently announced our WA committee’s awards here. A report on our Queensland Committee’s 2015 awardees is also available. “All of the Crawford-in-Queensland awardees together proved the case that this initiative is a good one and one we should continue,” said Dr Bruce Pengelly, Coordinator of the Queensland Committee. 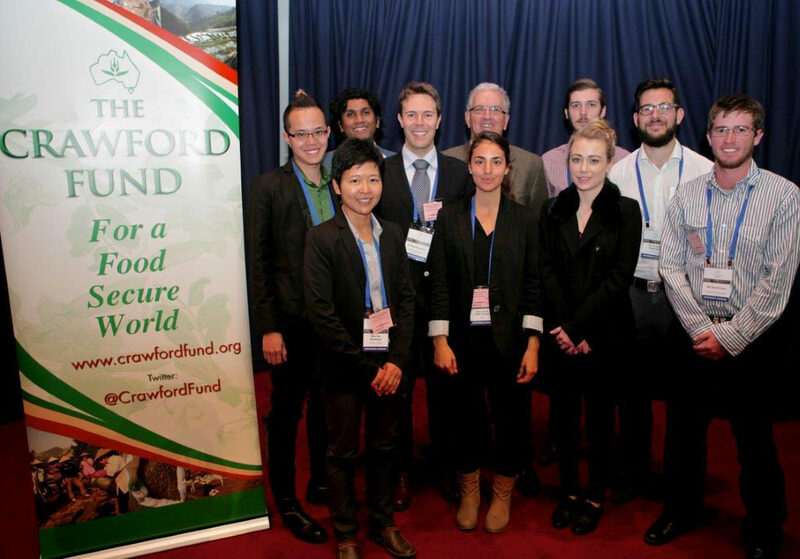 The Queensland Committee of the Crawford Fund is again offering a small number of competitive research funding awards for tertiary students. The purpose of the awards is to facilitate active student participation in international agricultural research projects, in order to help them gain valuable experience and expertise. Two types of award are available: Honours Research Scholarships and Postgraduate Student Awards. More details on the awards and application forms are now available here.